I have reviewed other products from Justified Laboratories and found the quality to be rather consistent, I think that’s highly important for a company that sells vitamins and supplements. The brand’s Detox Colon Total Body Cleanse is a great way to start of the New Year. This is a really simple cleanse, which is achieved by taking 1-2 pills each day with a glass of water. 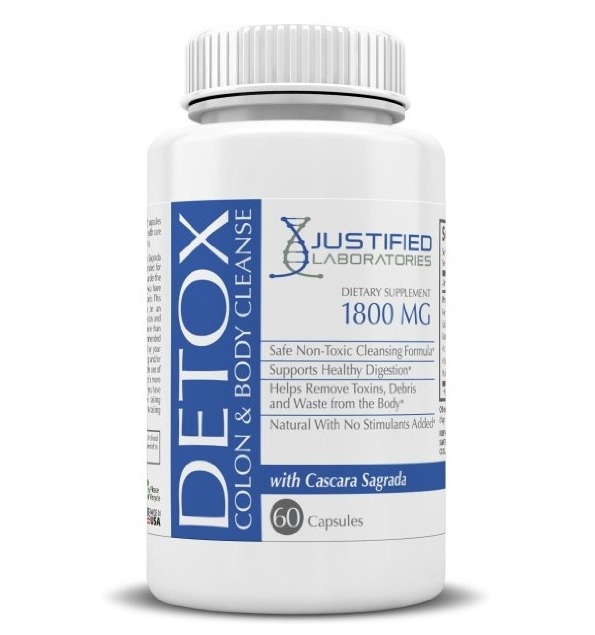 Detox Colon Total Body Cleanse by Justified Laboratories is a great way to jump-start your New Year. A lot of us make a commitment to loose weight or to live a healthier lifestyle and again, a cleanse is a great way to begin. Maintenance is another important issue. Did you know that your digestive tract stores excess debris? The average adult carries 4 pounds of undigested food in their intestines! 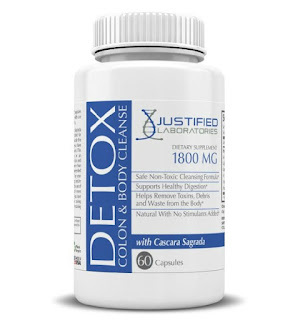 Personally, I like to do a cleanse several times a year and am very please with Detox Colon Total Body Cleanse by Justified Laboratories. This is a 60 count bottle, with is available on Amazon for $14.99.